One of the best things about BARS are its members. One in particular is a great person. His name is Steve Hoxie. He is always there when BARS needs a volunteer for anything from raking clams, to making chowder, to helping to recruit new members. Although he is a great story teller, we didn’t realize he is also a natural actor. Last August “Coastal with Byron Talbot” came to the Cape to do a segment on preparing stuffed Quahogs. 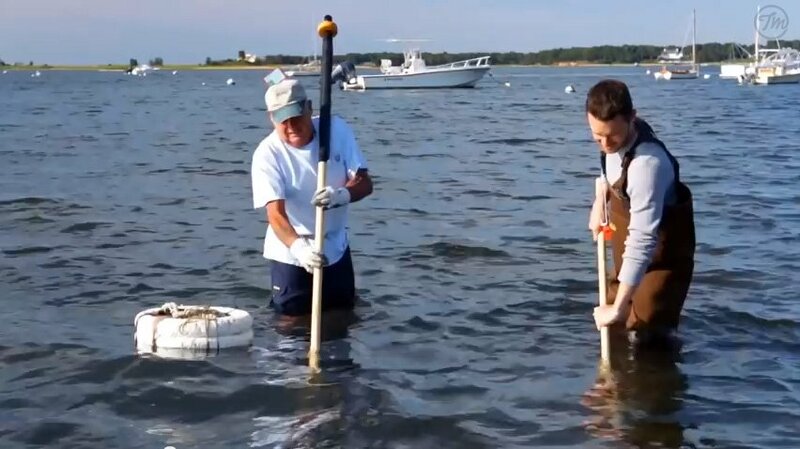 They contacted Ron Glantz, BARS’ President, who suggested that Steve would be the person to teach Byron shellfishing in order to get quahogs for Byron’s recipe, which he demonstrates on the clip. We think you’ll enjoy Steve’s show and Byron’s recipe too. This movie was filmed off Bridge Street Landing in beautiful Osterville, MA.